The Dallas Symphony Orchestra play Max Steiner's film scores from the movie "Casablanca" for a packed amphitheater in Vail during a Bravo! performance called "Hollywood Classics and John Williams" in Vail on Sunday. Bravo! 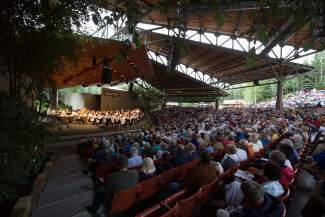 is a staple of the Vail festival season with a full calendar of activities from July 1 to Aug. 6. • Vail International Dance Festival: www.vvf.org. • Vail Jazz Festival: www.vailjazz.org. • Vail Summer Bluegrass Series: www.vailbluegrass.com. VAIL — When George Gillett and his family arrived in Vail around 30 years ago, they quickly fell in love with the town. But that town was very different, especially in the summers. “It was delightful to be here then, but Vail was a small mountain community in the summer,” Gillett said. The decades have changed Vail significantly from that “small mountain community,” and one of the big drivers of that change has been the proliferation of summer festivals. 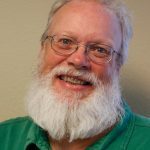 As a longtime board member of the Vail Valley Foundation, Harry Frampton has seen, and helped drive, some of those festivals. At the Vail Valley Foundation, the push for festivals — which today include art, music and dance, as well as the weekly Vail Farmers’ Market & Art Show — started in Frampton’s mind with “Megatrends,” a 1982 book by author John Naisbitt. “One of those trends was the coming explosion of arts and culture, and implicit in that was the growth of arts and festivals,” Frampton said. But today’s festivals wouldn’t have been possible without another bold move — the construction of the Gerald R. Ford Amphitheater in Vail. “When the amphitheater started up in 1987, that’s what changed our summer,” said Sybil Navas, town of Vail special events coordinator. The amphitheater and its 2,500 seats created a home for the Bravo! Vail music festival, the Vail International Dance Festival, the Hot Summer Nights concert series and other events. “It’s really become the heart of our summer — aside from the weather, of course,” Navas said. Lourdes Ferzacca, co-owner of LaTour Restaurant & Bar in Vail Village, said summer business there depends in large part on the Bravo! Vail and International Dance Festival audiences. The start of festival season, coming primarily on the heels of the Fourth of July, “is a sign that people are in town and summer is in full bloom,” Ferzacca said. And the dance, classical music and jazz festival crowds are the core of LaTour’s summer guests. Ferzacca is a big fan of the dance festival. Despite the activity at the restaurant, she always finds time to attend as many performances as she can. Those crowds have grown over the years. But, Frampton said, the audiences for the dance performances and Bravo! Vail are actually quite diverse. Only 15 to 20 percent of people who attend Bravo! Vail or International Dance Festival performances buy tickets for both festivals, he said. Bravo! Vail is not part of the Vail Valley Foundation. The similarity in those festival audiences is that most are the kind of upscale guests Vail loves to welcome. But even the weekly farmers market and the free Hot Summer Nights shows bring people to Vail and the valley, too Byrne said. The diversity of entertainment today is part of the attraction of Vail in the summer, Frampton added. That diversity extends beyond Vail, Frampton said. A Friday Afternoon Club series at The Westin Riverfront & Spa in Avon drew 1,300 people on June 24, Frampton said. While festivals are a crucial part of Vail’s summer, Gillett said the valley has broadened its attractions in other ways, too. “We now have 15 golf courses in the valley,” Gillett said. “We’ve put capital into kayaking and rafting, and a lot of money into stream reclamation and planting.